Campus Grounds Use Requests MUST be submitted at least 14 days before the event date. Any events involving alcohol MUST be submitted at least 21 days before the event date. Any events requiring road closure MUST be submitted at least 21 days before the event date. A $40 administration fee will be charged for all submissions. Additional fees may apply for complicated events and damage repairs. Road closures require hourly fees for Public Safety Staffing at each closure point. OSU roads are for the steady flow of all traffic modes. It is rare for OSU to close a road for an event. 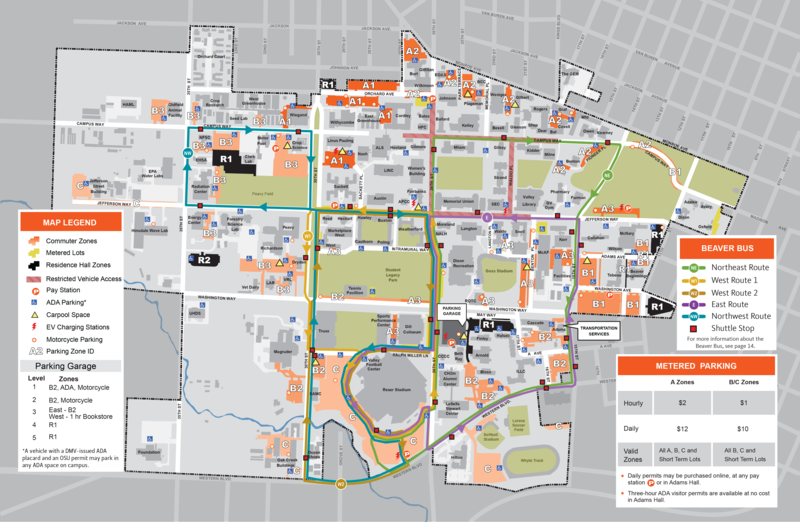 Please consider other campus open spaces prior to requesting a road closure. OSU is experiencing a high volume of construction this year. Please refer to the Closure Notices, Construction Traffic and Safety, and Current Projects webpages to see the most updated information. OSU asks that visitors onto campus please be aware of their surroundings. If you have additional questions regarding campus construction projects, please email construction.questions@oregonstate.edu. If your event involves City of Corvallis property or roadways (e.g. marathons, marches, etc.) you will need a Parade Permit. This process can take up to 4 weeks. *Many city streets and transit routes (e.g. 14th/15th, 26th, Western & Monroe) cross through campus. If you have a race, you MUST call (541) 766-6924 to check if the area is City property. Pre-Authorization is required before submitting CGUR for the areas listed below. Contact the following to reserve these areas. After getting confirmation, please submit the CGUR form. If you have questions, please call (541) 737-2402.